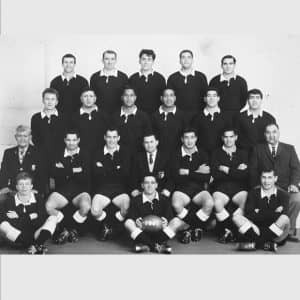 Jimmy and Manu (second row, third from right) at the 1967 Prince of Wales Cup challenge in Wellington. Uncle Manu was an 11-year-old schoolboy when his dad instructed him to “put some gear on” and play for the senior men’s team. I remember Manu reflecting on that debut — and not making a big deal of it. 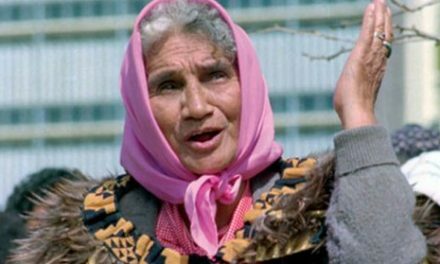 Manu Maniapoto died at home in Rotorua on January 24, aged 81. Manu — adoring husband, beloved dad, koro, partner, uncle and brother. Manu, the man known near and far as “the gentle giant”. Manu, the rugby powerhouse from Ngāti Tūwharetoa, Ngāti Pikiao and Tūhourangi. Manu, the classic hunter and gatherer. When I was growing up, people often asked if I was related to the fabulous Maniapoto brothers. Huri, Manu and Jimmy. All of them gentlemen off the field. Quiet and humble. But tigers when it was game on. All three were Māori All Blacks. Some said they should have been All Blacks. The uncles didn’t have much to say about that. Only that, in their day, there was tough competition at the top level. Uncle Jimmy reckons they got their speed from their mum’s Hamiora side, but strength and height from the Maniapoto genes. Their dad, Koro Hema, was nicknamed Jumbo. And he was fit as hell. He played in the 1928 inaugural Prince of Wales Cup Challenge, the big inter-tribal tournament. The 1971 official programme named him as the most outstanding player in that match. He had done okay in rugby league as well. He had been on the 1922 Australian tour with the Māori Rugby League side. Huriwaha, Manu, Jim and my dad, Nepia, also played in those Prince of Wales tournaments, sometimes in opposing teams. They reckoned that Uncle Hitiri, the elder son, had the most potential, but a serious injury while he was serving in Korea put an end to his rugby prospects. That 1971 programme said the Maniapoto name was “synonymous with talent, guile and strength.” And it said that Manu learned the art of evading rugby tackles by “sidestepping the number of open geysers that dotted the area as he made his way back and forth from the family bath-house.” Not sure about that one, but it sounds good. The names of our dad and his four brothers all had tribal connections. Manu was named after Manukapua Takirau, which acknowledged the Tainui roots of their mother, Mamaeroa. The brothers and their sister, Girl, were brought up old school. 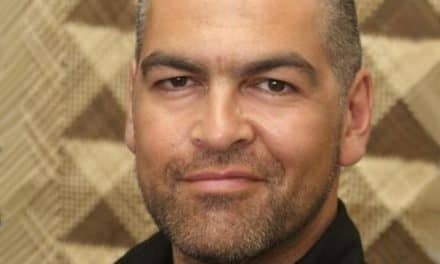 Their parents never swore at them, never hit them, and were heavily involved in their marae, community and the native school. And their kids would hunt, track, stalk, spear, gather and fish, always carrying a frying pan and eggs whenever they moved about their farm at Te Rangiita, not far from Taupō. They’d catch a rabbit or fish and cook it up on the spot. Animals had a purpose. “Waste of dog tucker,” they’d mutter as they eyed up my beautiful but useless pet. Uncle Manu was a legendary fisherman. Even fished up a deer once. He was in his motorboat one day when he spotted a stag swimming across the lake. He grabbed his anchor, lassoed the stag’s antlers and towed it back into shore. True story. But he was more widely known as a rugby player. In 1955, as a 19-year-old, he joined the Whakarewarewa club. He was a sizeable and welcome recruit. Six foot five and around 17 stone — or 107 kilograms in today’s terms. They won the championship that season and that led on to a career representing the Bay of Plenty in 100 games. No player had managed that before. And a few years ago, when a group of rugby experts were selecting their dream team from 50 seasons of BOP rugby, there was Manu as one of their lock forwards. Manu would laugh about how basic things were in rugby in those days. No gyms. No personal trainers. No physiotherapists. Plenty of running, though. He was sold on that approach after hearing Arthur Lydiard on the radio talking about how to get fit. Arthur was the coach who steered Peter Snell, Murray Halberg and other athletes to Olympic medals and world records. There were also what an old teammate, Henry Parkinson, referred to at the tangi as Manu’s special “undercover” skills. He was inclined to apply them if any of the opposition were being hōhā in the scrum or rucks. Henry would give Manu a nod. And Manu would respond by dispensing a bit of a biff to help settle things down. Off the field, Manu worked alongside his brothers Hitiri and Nepia as bushmen in the Kaingaroa forest. They were staunch unionists as well as handy with the chainsaw. Manu was a bit of a MacGyver, too. He even set up his own home security system, involving pot lids and a fishing line. When that was triggered, the pot lids would land on the concrete and make a hell of a racket. Mind you, he was so imposing, a glimpse of him could be a serious deterrent for any would-be burglar. Like the time some intruders panicked when, as they were approaching, he unexpectedly pulled up the roller door. Rose, Manu’s wife, died just over 30 years ago. Rose Gibbons (Ngāti Kahu, Te Aupōuri) and her sister, Orana, were popular nurses at Rotorua Hospital. Vivacious and full of laughs. But, after a kai of toroī, they both became seriously ill from botulism. Then our Aunt Rose suffered a heart attack and was in a coma for two years, severely brain damaged. Manu threw in his job to focus on raising their youngest daughter, Carolyn, who was only seven. She became his best mate. He’d go on all the school camps with her, which must’ve suited the teachers. He’d be whipping up mussel fritters or catching fish for the camp dinner. And every night, without fail, he would visit Rose until she passed on in 1986. Manu, on the right, instructing the hangi preparation. “I’ve had it,” said Manu. Doctors suspected cancer. His daughters Carolyn and Lorraine looked after him at home in his final days, alongside Manu’s long-time partner Priscilla Dickeson. His sons, Richard and Michael, co-ordinated manuhiri. There were plenty of visitors dropping off tītī, kanga pirau, trout, whitebait, mussels and other delicacies, tempting him to eat. He had a reputation for knowing a thing or two about kai. And he’d been the chief hangi-maker at Waiteteko marae. Even in his 70s, he would be on stand-by at the pit hours before anyone else. I told him it was more reindeers than moose — and that I’d give it a shot to bring some back through Customs in three weeks. But Manu died before I returned. He was ready to go. And he reckoned the first thing he was going to do when he “got there” was lay down a hangi. Beautiful MOANA, I certainly hope one of the Whanau one day will write a book on THE HISTORY OF THE MANIAPOTO RUGBY GREATS AND THERE WHANAU.I was bought up in Whaka and remember showing off to my Whaka friends about my cousins Huri Nepia Manu and Jimmy being The Football Hero’s from my birth place Tuwharetoa. Tēnā koe Moana. That was a beautiful tribute … our Gibbons whānau loved and respected him deeply. Aw, Pam – he was so devoted to Auntie Rose. Our who family adored her. I can still see Rose in her crisp white uniform going off to work at the hospital. She used to put on a fake French accent, convinced me she was from Paris, not Tai Tokerau. I was so gullible! Beautifully written Moana and so appropriate to share with others, about the life of a great man. 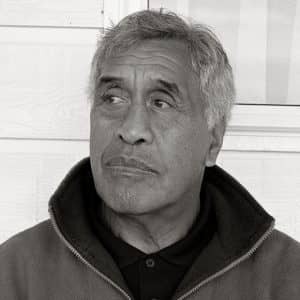 I had the good fortune to meet Uncle Manu on many different occasions over the decades and what struck me was his kindness, work ethic and devotion to his Whānau- he was a true gentleman. 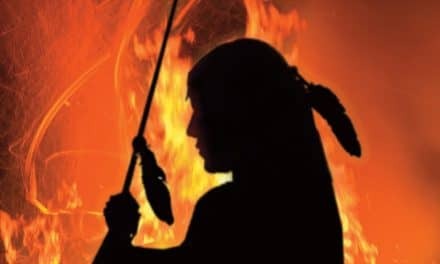 In saying that, his entire Whānau had the same qualities and disposition- his Dad, brothers, and the generations of male and female that follow from the Maniapoto Whānau. Undoubtedly Uncle Manu’s sporting prowess is legendary, but more striking for me is his character- a loving and devoted husband, father, Koro, brother, and uncle. A true gentleman! He wasn’t just good with how he lived his life, he was great! Thank you Moana for sharing this about your Uncle, as we should celebrate him and those like him- people who make a positive difference in the lives of all they encounter. Moe mai Koro Manu, moe mai e te rangatira. 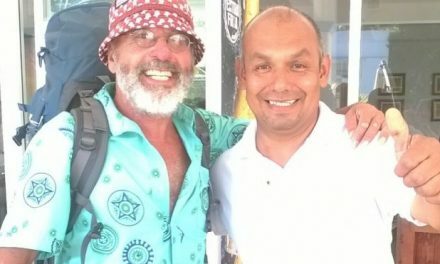 I loved reading this article i didn;t know Manu personally but knew of him i actually went to Malfroy Prmary School where his Brother Jim was my Teacher and he also played Rugby, my Parents knew him my dad drove the gang bus from Rotorua to Kaingaroa when we were kids and from what i saw and knew they both were great people awesome thanks for sharing….